Can I Compost Ash? | Can I Compost This? You can compost some types of ash – but it’s best to avoid composting others. These ashes are fine in small amounts – but be careful as it can very quickly made the heap to alkaline. (This might be desirable for balancing out acidic compost heaps or acid soils but in most circumstances, it’s better to keep it neutral overall.) Mix it into the contents of the heap to avoid the small particles being blown around on the wind. Make sure ashes are thoroughly cooled before adding them to your compost heap, otherwise dry materials in the compost may fire risk. These ashes can also be used “neat” on the garden as a slug deterrent and soil fertiliser, or reused in other ways too. 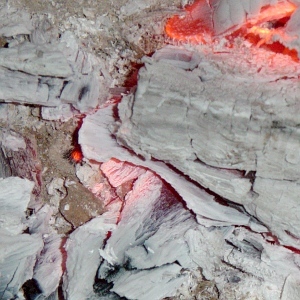 All these types of ash contain materials that are harmful to plants or animals, or in some cases, the wider ecosystem. If in doubt and especially if you’re using your compost for growing edibles, leave it out.